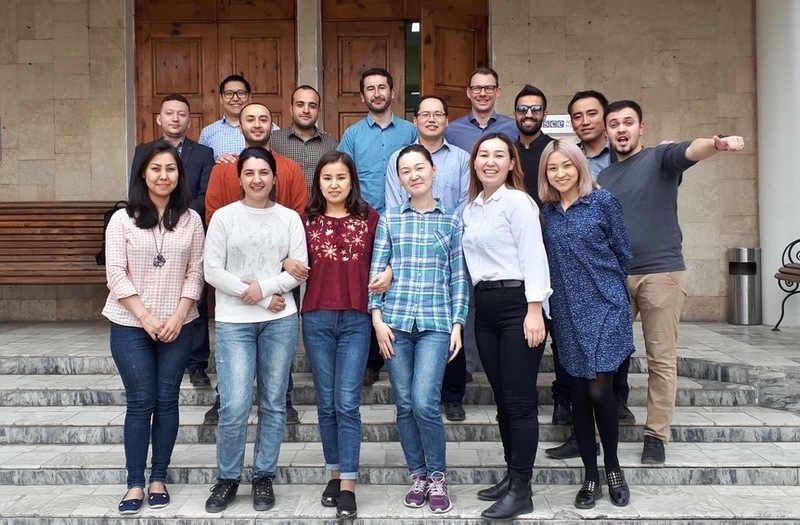 Damir Esenaliev, Senior Researcher at ISDC, and Philipp Schröder, Research Affiliate at ISDC and lecturer at the University of Freiburg, conducted a research module on mixed methods research for the M.A. program ‘Economic Governance’ at the OSCE Academy in Bishkek (Kyrgyzstan). The module covered impact evaluation methods from the quantitative side and introduced students to basics of qualitative, ethnographic research. The module employed empirical data and reports from the ‘Life in Kyrgyzstan’ Study, as well as from a research project on community driven development and social cohesion in which the lecturers were jointly involved between 2014-2017. Besides classroom work, the students had an opportunity to gain first-hand experiences in collecting field data on the correlations between social cohesion and employment, migration, communication technologies, and languages. The next round of training is scheduled for 2020 and envisions that students’ research efforts expand to projects on development cooperation currently implemented in Kyrgyzstan.